The Brooklyn Nets shocked the Philadelphia 76ers with a win in Game 1 of the 2019 NBA Playoffs. Now, the Sixers look to even the score in Game 2, tipping off Monday at 8 p.m. ET. D’Angelo Russell and the Nets’ backcourt were too much for Joel Embiid and Ben Simmons. Embiid is expected to be more effective on Monday as his knee continues to come back from a knee injury. 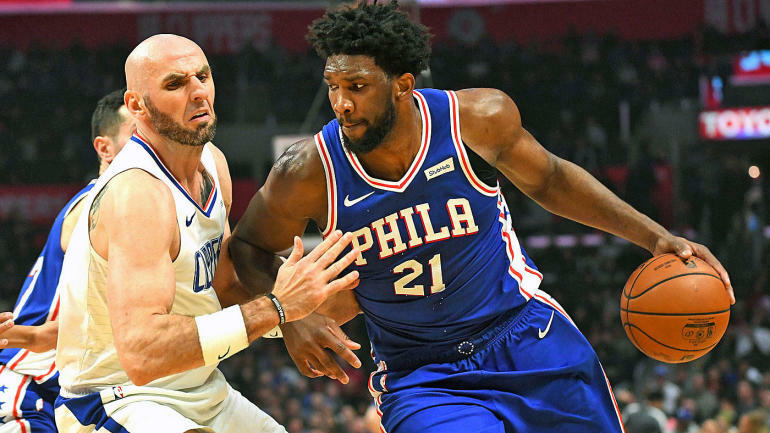 Sportsbooks list Philadelphia as an eight-point home favorite, while the over-under, or total number of points Vegas thinks will be scored, is 226 in the latest Sixers vs. Nets odds. Before you make any 76ers vs. Nets picks, be sure to see the NBA predictions from SportsLine’s advanced computer model. The model is well aware the Sixers played poorly on enough in Game 1 to get boos from their home fans. Embiid was hobbled; he scored 22 points, but on 5-of-15 shooting. Simmons, Tobias Harris and JJ Redick combined for 18 points. Jimmy Butler poured in 36 to keep the game from being a blowout. A repeat performance seems unlikely after that wake-up call. The Sixers averaged 115.2 points, fourth-most in the NBA, yet managed just 102 against Brooklyn’s 18th-ranked defense. And Embiid, who has 21 straight double-doubles, should be healthier, but is questionable for Monday.